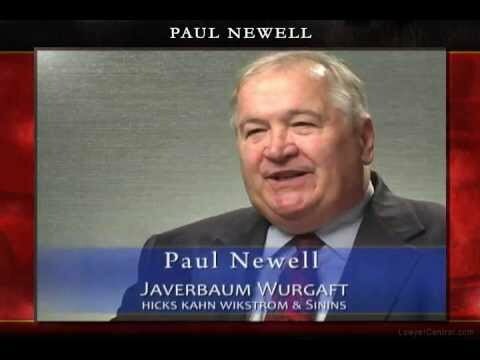 As a Certified Civil Trial Attorney, Paul E. Newell handles cases involving auto negligence, legal malpractice, medical malpractice, and personal injury. Since his admission to practice in 1972, Paul has handled cases in all trial courts in the State of New Jersey and has tried over 200 cases to final verdict before juries. Pro bono work is also very important to Paul, and he has devoted time to “Trial Lawyers Care,” a project of the Association of Trial Lawyers of America, which included representation of the husband and infant daughter of a woman who died in the World Trade Center on September 11, 2001. Under his guidance, the family obtained a net recovery from the September 11th Fund of more than $1.2 million. Paul also provides representation for the Citizens Advisory Council of the Disabled, an organization that represents and advocates the interests of severely disabled Monmouth County residents. Paul also served as an Officer in the United States Army Reserve.